Kite foiling is the latest craze in the kiteboarding world. But why? 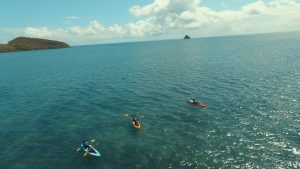 Simple Really, you get going in much lighter wind and it feels like you are on a riding magic carpet. That feeling of effortlessly gliding across the water cannot be experienced in any other sport. You need to be at a comfortable level with your twin tip riding first. Then you have a few options. Get quality lessons from an IKO instructor that knows the ins and outs already. Going to a kite school is our recommendation. They can teach you those tricky fundamentals that seem so basic, yet most people forget and really struggle from the get-go. 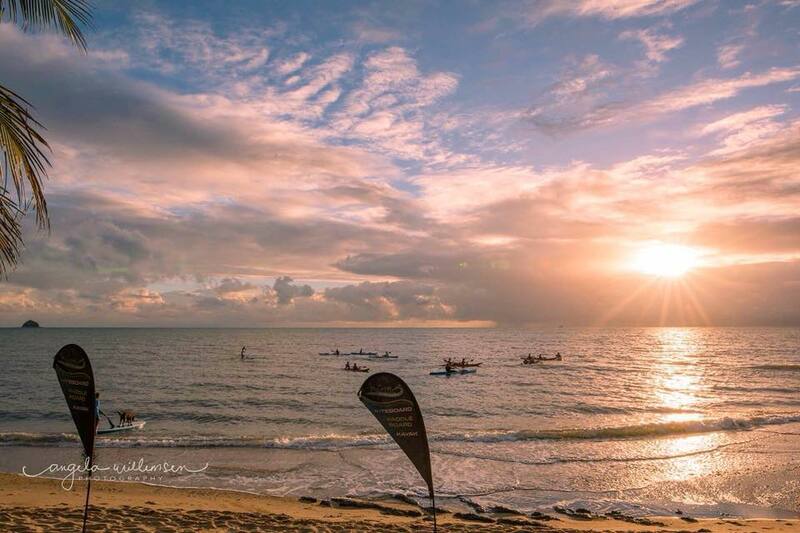 Here at Kiteboarding Cairns, we have come up with a special lesson structure for our kite foiling students. 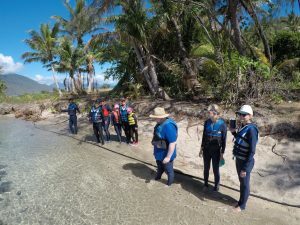 We started the foil seen in Cairns, meaning we have been through and seen it all. There a few different types of kite foils on the market. You have High aspect and low aspect wings. The high aspect wings are generally faster and a more sensitive to movement. The low aspect wings are slower and much easier to control when up on the foil, making it better suited to learning. Some low aspect foils also come in a 3 stage mast option. The idea behind this is you learn on a really short mast to get the feel of the foil being under the board. 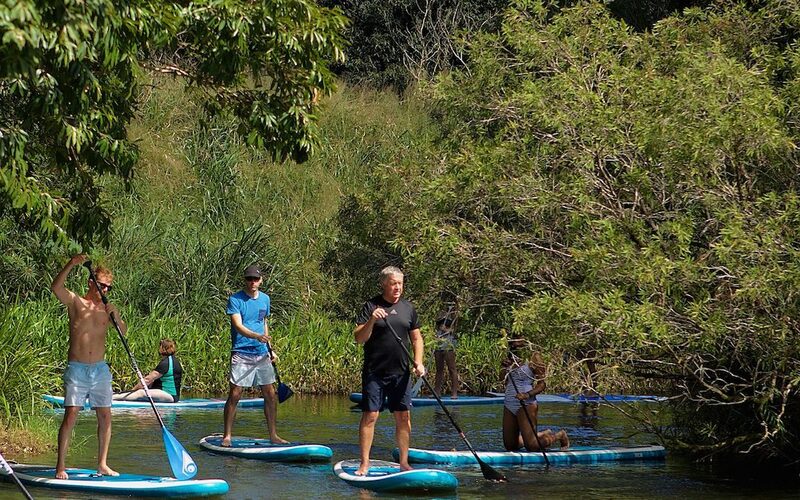 These short masts are usually around 400mm and will not really allow you to hydrofoil but will allow you to get your confidence up and a good feel for the sport. After you are comfortable on the 400mm mast, you can move on to the 600mm mast and then the 900mm when ready. 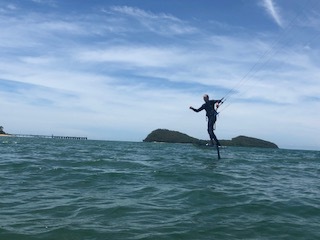 Overall Foiling is great fun and an awesome challenge for any keen kiteboarder. If you want to know more, shoot us an email or give us a buzz and we’ll be more than happy to help. Always wanted to learn Kiteboarding? 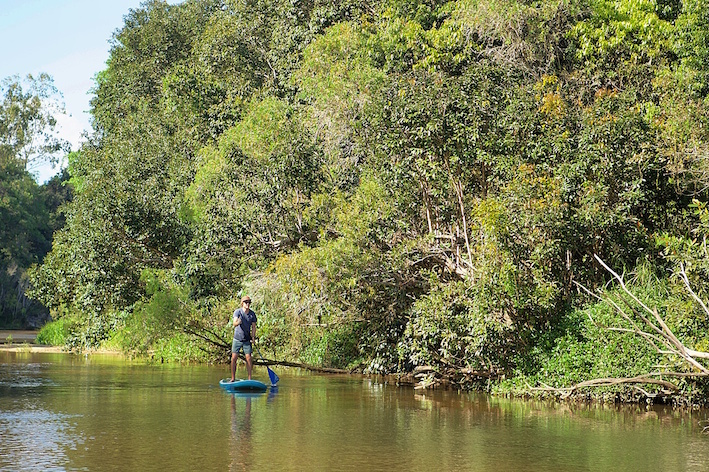 Cairns is the perfect spot to learn this incredible sport. Here at Pacific Watersports, we are passionate about Kiteboarding and teaching as many people as possible to become independent riders. 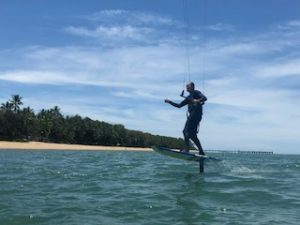 What’s the best season for Kiteboarding Lessons in Cairns? 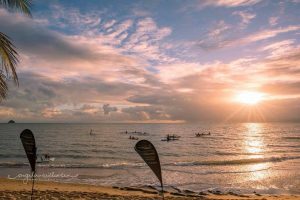 The best time of the year to come to Cairns to learn Kiteboarding is April – November. In our cooler months (but still 25 degree c days!) we get pretty consistent southeasterly trade winds, usually in the afternoons, but sometimes they will start blowing in the late morning. 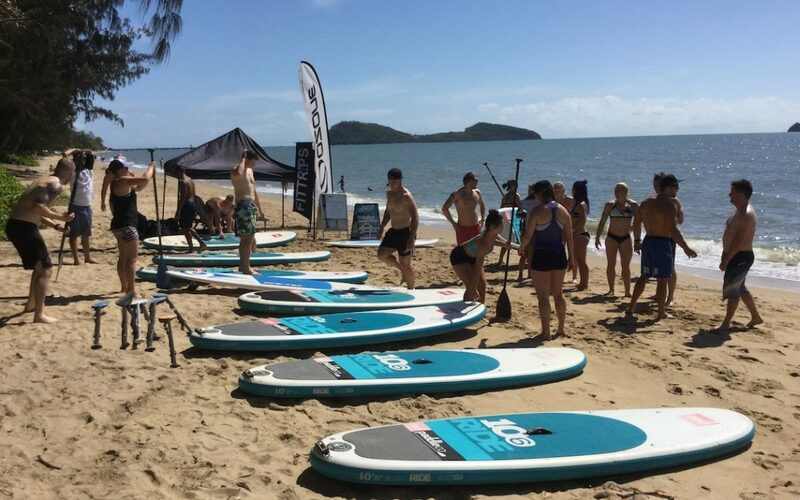 At which locations do you teach Kiteboarding Lessons in Cairns? 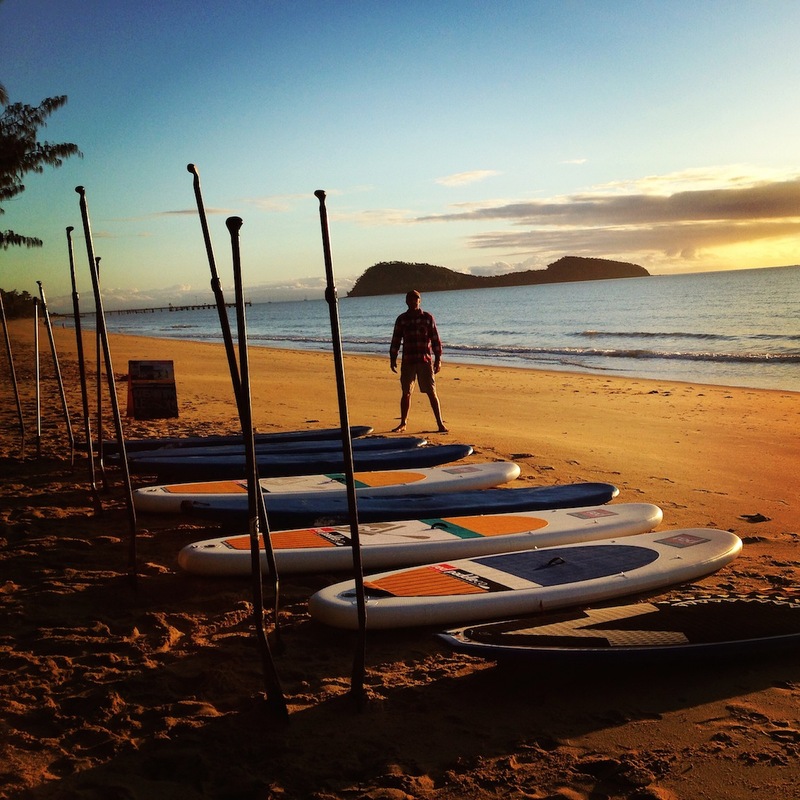 We teach Kiteboarding at 3 different locations in Cairns. An awesome spot to learn to Kitesurf. Yorkey’s Knob is a beach suburb just north of Cairns City. 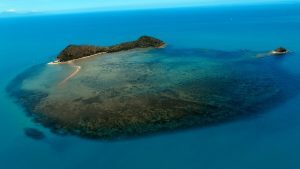 It is probably the most popular spot for locals to go kiteboarding and there are sure to be a few people out on a windy day at Yorkeys Knob. 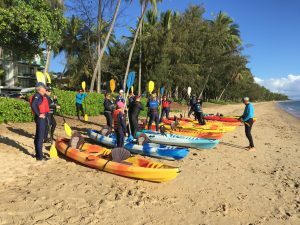 Here there is plenty of space on the beach front to learn how to fly the kite safely and some cool shallow flat water spots to practice on when we first introduce the board to you. 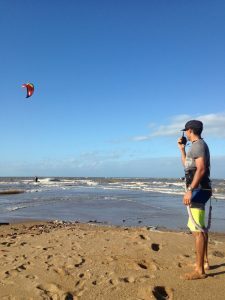 There is a great kiting community vibe down at Yorkeys Knob, so be sure to check it out. 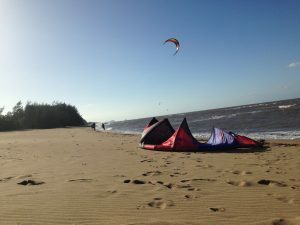 Another amazing spot to learn kiteboarding in Cairns is Palm Cove beach. Palm Cove is a beach suburb a little bit further north of Cairns City than Yorkeys Knob. 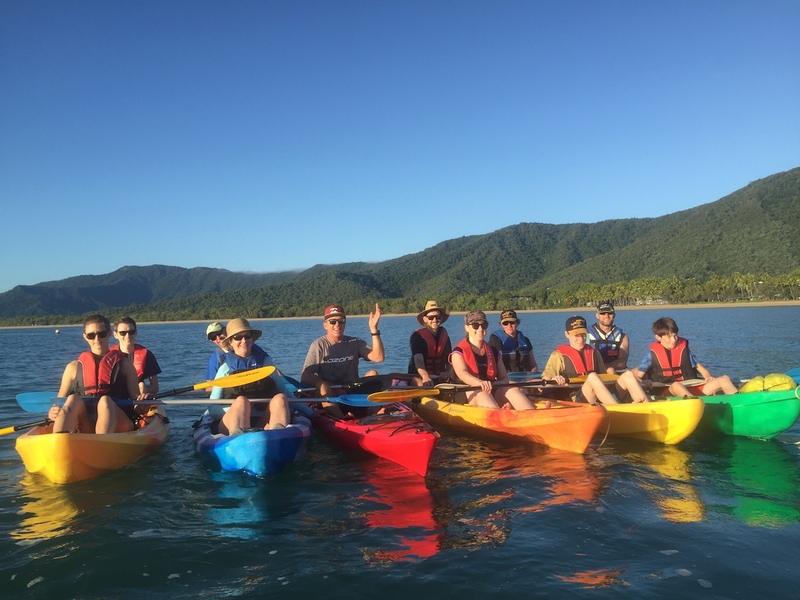 With its palm fringed golden sandy beaches and warm waters, it’s easy to see why this beach is considered Cairns’ most beautiful. 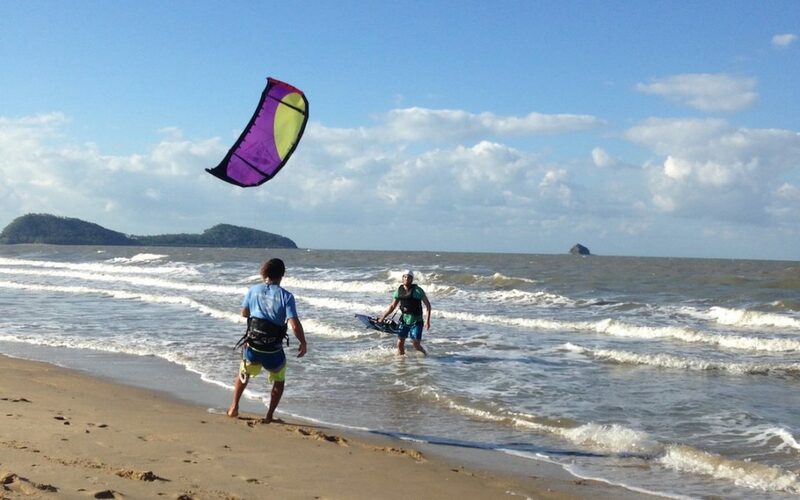 We teach kiteboarding at the south end of Palm Cove Beach, away from sunbakers and swimmers. 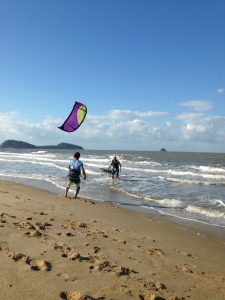 Palm Cove also has a great community of Kite surfers and is our favourite spot to Kite in our free time. 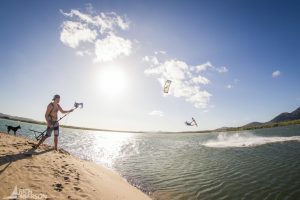 What Kiteboarding Lessons do you offer in Cairns? 1) 2 Hour Private Lesson. Prices start at just $189. Perfect for complete beginners, or for those with some experience that just want to refine their technique. For complete beginners, we often recommend 2 x 2-hour private lessons. After the 4 hours, you will be well on your way to becoming an independent kiteboarder. 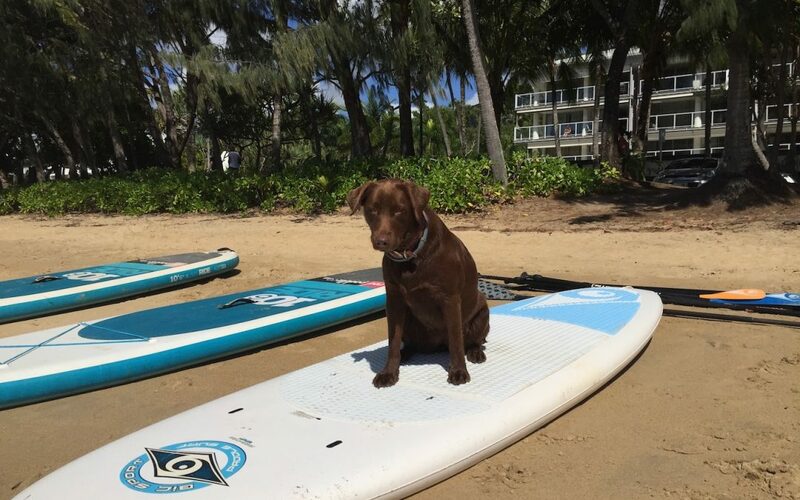 Some people with previous board sport or windsurfing experience may take even less time to become independent. Feel free to get in touch with us to discuss your options so we can tailor your lessons to suit you. 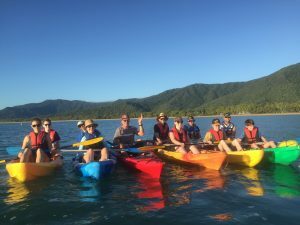 Want to learn Kiteboarding in Cairns with your partner or friends? A group lesson may be the perfect option for you all! 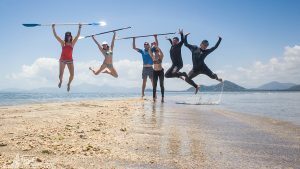 In this group lesson, we spend 4 hours learning the skills and techniques required to be independent kiteboarders, with plenty of time for you to play around on the water together. 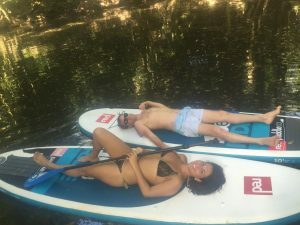 Not sure if this is the spot for you, but want to give it a try? This could be the perfect kiteboarding lesson for you. In this one hour lesson, we offer you the perfect introduction to kiteboarding, working at your own pace. Are you an IKO (International Kiteboarding Organisation) registered Kiteboarding School? Yes, we are! We are an IKO registered Kiteboarding School which means all of our instructors are trained to the highest standard. IKO is the certification for quality in the Kiteboarding world, so make sure that the school that you are learning to Kitesurf is an IKO affiliated centre. 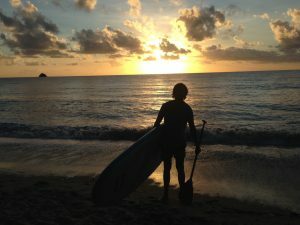 Now.. the final step towards becoming an independent kiteboarder is BOOK A LESSON WITH PACIFIC WATERSPORTS!